The minister said India has already sent its first consignment of wheat to Afghanistan through Chabahar port. "We have resolved all issues related to Chabahar Port... There were some small problems. We have discussed the issues and there has been a positive approach. Already, we have started export of wheat," Mr Gadkari said after his meeting with Iranian Transport Minister Abbas Akhoundi in New Delhi. 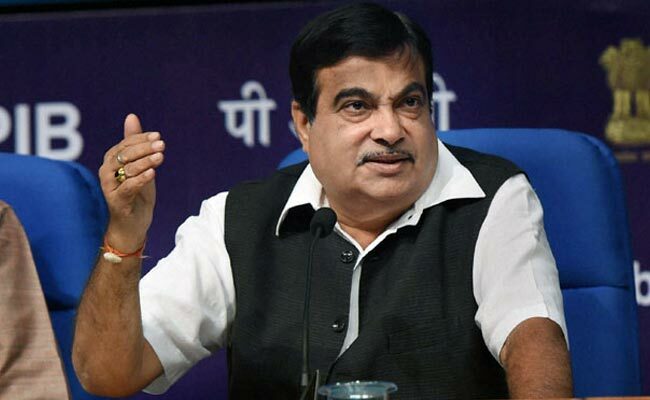 New Delhi: Union Shipping Minister Nitin Gadkari today said India and Iran have resolved all issues related to Chabahar port and will expedite the development works. On the hurdles with respect to the Chabahar Port development, the transport and water resources minister said, "The issues were small regarding port, its operations, regarding how we calculate the profit." An official privy to the meeting told PTI that all hurdles related to interim operationalisation of the pact have been cleared during the meeting. India last year shipped its first cargo of wheat to Afghanistan through the Iranian port. India has plans to export 130,000 tonnes of wheat to Afghanistan through Chabahar Port. Chabahar port, located in the Sistan-Balochistan province in the energy-rich Persian Gulf nation's southern coast, lies outside the Persian Gulf and is easily accessed from India's western coast, bypassing Pakistan. Mr Gadkari said, "We are supporting developmental issues in Iran and India... Today's meeting was very fruitful. In due course of time, there will be lots of development in Chabahar." The minister said there will be a lot of opportunities for Indian businessmen and investors to invest in Chabhar and "at the same time, Iranian investors are also keen to invest in India. It is a win-win situation for both the countries. Discussions were very fruitful". "In due course of time, we will complete the work of the port. It can be a growth engine for India for making our exports to Afghanistan and Russia also. We don't need to go to Pakistan for that. It is a golden opportunity," the minister said. This will open the gate for investors from both the countries, he said. Mr Akhoundi said India and Iran should move together to make it more successful. He said discussions also focused on developing infrastructure, logistic etc. For greater trade and investment flow with Iran and neighbouring countries, the Cabinet in 2016 had cleared proposals for development of Chabahar port including a USD 150 million credit from Exim Bank. It had also authorised the shipping ministry to form a company in Iran for implementing the Chabahar Port Development Project and related activities. Ownership of the equipment will be transferred to the Iranian side on completion of 10 years or for an extended period, based on mutual agreement. The Iranian side had requested for provision of a credit of USD 150 million in accordance with the MoU.